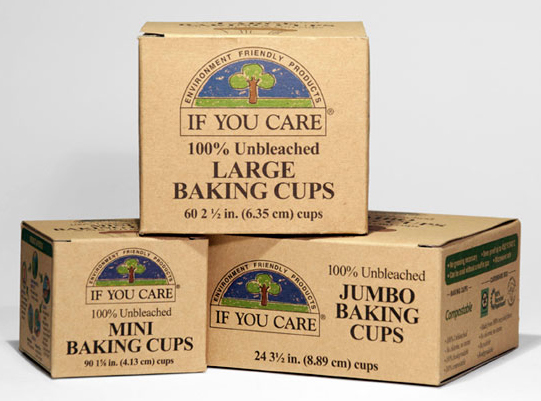 We are very pleased to be stocking these awesome environmantelly friendly If You Care Baking Cups. These are excellent for baking in the oven or microwave and are suitable for vegetarians and vegans, gluten free and allergen free. After use they are perfect for composting, how awesome is that! To read more about them click here or if you would like to order any of these baking cups email your name and address to hannah@naturallycakes.co.nz or go to our Contact Us page and fill in the online form.